Insurers May Share Blame For Increased Price Of Some Generic Drugs : Shots - Health News Consumers often blame drug companies for the rapidly rising costs of some commonly used generic drugs. But changes made by insurers influence the price of these drugs, too, it turns out. When your health insurer reclassifies a prescription drug you take from tier 1 to tier 2, it can sharply increase the portion of the drug's cost that you're expected to pay. With recent reports that drugmakers have sharply raised the prices of some prescription drugs, a reader has written in to ask why a common generic drug is also suddenly costing him more. Another reader has questions about health plans with high deductibles. Here are those readers' questions, and what I've learned about the answers. I take levothyroxine, the generic form of Synthroid, to treat a thyroid disorder. This generic has been on the list of drugs that cost $10 for a 90-day supply at my pharmacy for as long as I can remember. 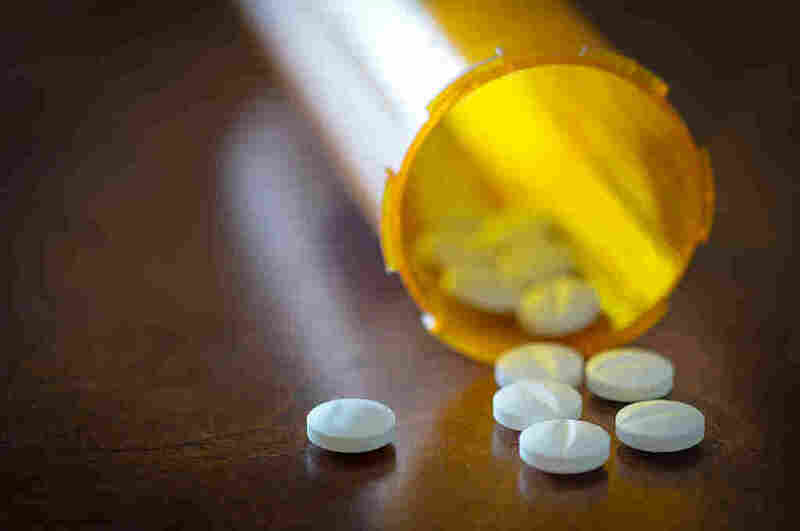 Starting in April, the drug was dropped from the list and the price rose 300 percent. The pharmacist tells me all the generic drug manufacturers are raising prices. How is it possible that this drug increased in price so quickly? Generic drug price hikes have come under close scrutiny lately, as reports continue to surface of significant and seemingly inexplicable increases. Some drugs affected — including your thyroid medicine, as well as the common heart medicine digoxin — are widely used and have had relatively modest prices for years. What gives? Health care professionals like your pharmacist often blame drug manufacturers, claiming they raise prices simply because they can. There's no question that happens, says Dan Mendelson, president of the consulting firm Avalere Health. But there are other reasons that generic drug prices may increase as well. For example, insurers may have simply changed the design of their health plan's drug benefit, Mendelson says. They may have moved the drug into a higher tier — one that requires consumers to pay a bigger chunk of the cost. Drug prices also sometimes increase because the cost of manufacturing or distributing the drug has increased. But consumers don't have to simply pay up. Drug costs often vary widely from pharmacy to pharmacy, so shopping around makes financial sense. In addition, some retailers offer rock-bottom prices on dozens of generic drugs to consumers who pay cash. If you're ponying up $4 in cash instead of a $30 copay for each refill, the savings can quickly add up. Do you know of any insurance carriers that are selling high-deductible marketplace plans where once the deductible is met, the plan pays 100 percent of the costs after that? In other words, the deductible and the out-of-pocket maximum would both be the same? It's not unusual to find plans that are structured the way you describe, particularly among bronze-level plans, says Linda Blumberg, a senior fellow in the Health Policy Center at the Urban Institute. Blumberg and colleagues analyzed the availability of these plans on the federal marketplace, which runs the insurance exchanges for about two-thirds of U.S. states. Such a plan might have a deductible of $6,850 for individual coverage, for example, which is also the maximum that someone with an individual plan can be required to spend out of pocket for covered care in 2016. Some insurers have touted this type of plan for its simplicity, noting that there's only one number to keep track of. Still, at the bronze level, a health plan that picks up all costs after the deductible is met is likely to have a deductible of several thousand dollars. Bronze plans are the least generous of the four levels of coverage on the exchange. Still, even in a high-deductible plan, some care is covered before the deductible is met, including preventive services. Under the Affordable Care Act, consumers don't have to pay out of pocket for preventive care if it has been recommended by the U.S. Preventive Services Task Force. In addition, some insurers offer plans that cover a certain number of primary care visits or generic drugs, for example, that are exempted from the deductible. If you're considering a plan whose deductible and out-of-pocket maximum are the same, Blumberg says, carefully check the particulars of what's covered.